Every year I tell myself I won’t enter the Royal Show this year, but then make a last-minute decision to put something in. This year I decided I needed to get back into weaving (hadn’t done any for at least six months), so bought two entries and ended up entering one. It had to be something different this time, or at least bigger than a scarf… a shawl. Maybe not the most adventurous step-up, granted. The idea came from Handwoven Sept/Oct 2013 which featured a moebius wrap. I didn’t want to risk ruining the item at the last minute with dodgey sewing, so settled for a flat version, and also changed some of the yarns. The warp was black wool (plied, commercially spun at a sett of 16 epi) and silver-grey and lake combo 8/2 tencel (24 epi). 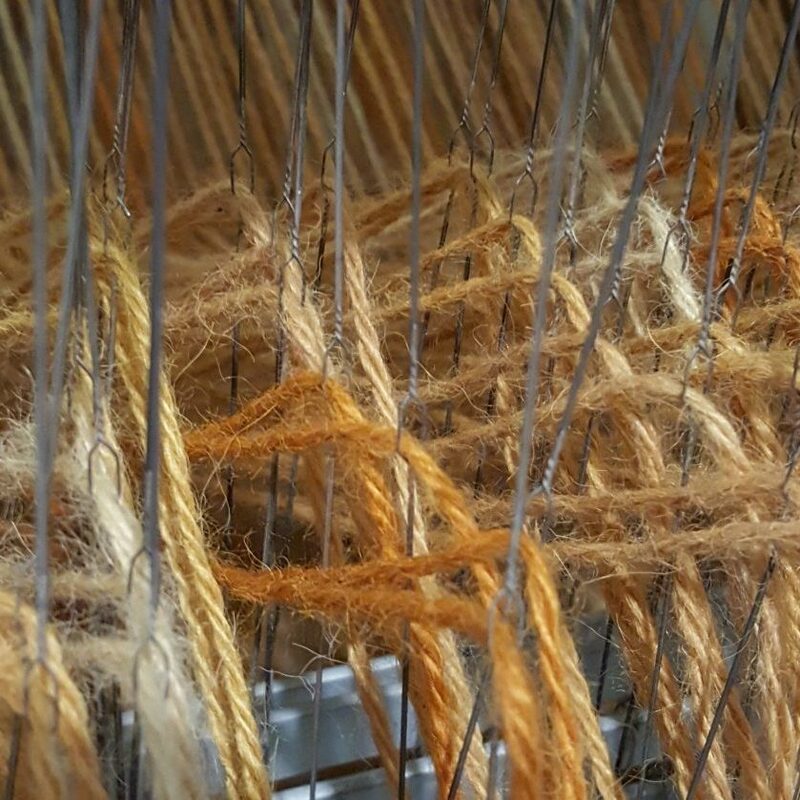 The weft was black 8/2 tencel. The original draft required a sett of 27 epi, but 24 epi and the use of wool made for a lighter, airier and more wrapable shawl. I’ll definitely be using this combination again. I can’t remember which book or movie it was, but there was Alice, trying to make her way through the first door after drinking the potion that made her smaller. The floor had black and white tiles, chequer-board fashion, and because the floor was sloping, perspective made the tiles smaller in size the closer to the door they became. I tried to copy this effect with a tencel scarf in block weave; the finished piece isn’t how I’d imagined it, but interesting nonetheless.